HUB Int. 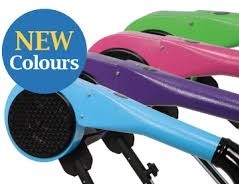 Catalogue | Blaster Dryers - Metro - Allbrooks - Chris Christensen & Professional Dryer 'The Superjet' and Handheld Dryers - Jaguar - Wahl - ETI - Elequip - Streaker. Allbrooks Tornado 93 Dryer, A versatile appliance offering both high-pressure and conventional drying facilities. Supplied complete with adjustable stand and flexible hose attachment. 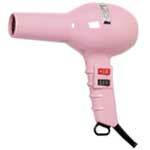 An ideal choice for small salons, pet grooming salons, mobile stylists and show exhibitors. Supajet Finishing Dryer. Constant air speed. 3 air temperature settings. Clean air filtering. Spring assisted adjustable stand. Stable aluminium five star base with rolling casters. Optional directional nozzle. 3 year motor warranty. (12 months on other components) 2600W at 220-240V ~ 50Hz. 5.95 m/min (cubic metres per minute) Air temperature(s) - warm at 1.2Kw + hot at 2.4Kw. Bearing induction moter driven. Weight: 15 kg. Regarded by many professional groomers and show exhibitors as the industry standard, designed and built for continuous use. This reliable and dependable dryer, is considered to be the most successful and popular sold in the UK today. No heat to minimal heat to prevent damage to the coat and skin. From Newfoundland to Chihuahua with a turn of a knob. The "Kool Dry"...the only one that does it all! Easy to use attachments and variable speed control are perfect for all breeds at different drying stages. Manufactured in the USA by Chris Christensen Systems with durable materials and parts to ensure a long-lasting product. Low electrical draw. 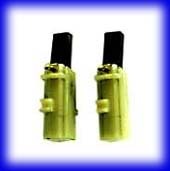 Includes 9' hose and two nozzle attachments: Concentrator nozzle and SS Diffuser Nozzle. This one comes WITH HANGING BRACKET, which has to be connected at point of sale. Introducing the new Kool Dry Mister. Attaches to all of Chris Christensen Systems Dryer Hoses. Add your favorite bodifier/conditioner or just about any product you wish to mist into the coat. 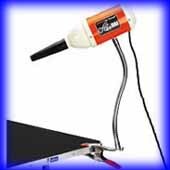 Excellent for the Kool Dry Dryer, Kool Pup Dryer and any hand-held dryer for hands free work. Easily clamps onto any table. Bends exactly where you want it and stays there! Improved with easy release cradle! Made in the USA the Air Force Quick Draw is a compact, powerful hand held pet dryer that is small enough to take on the road yet strong enough to use in the shop to dry off a large long haired dog in minutes! At just over 3 pounds the compact all steel QUICK DRAW produces a large volume of luke warm air to dry pets quickly and thoroughly. Metro Air Force Commander 1. Blaster. This lightweight dryer is so powerful you will forget its portable. Features include an easy change filter and dual mounted legs that allow it to be used vertically or horizontally. The Commander dries their hair without drying out their coats. Construction: Sturdy all steel. Moter: 1.17 H.P. AMPS: 7.5. Weight: 6 lbs. 220-240v. Metro® Air Force® Commander® 3 is a powerful floor/table dryer with two-speed performance, allowing you to groom large or small breeds with one dryer. This lightweight dryer is so powerful you will forget it's portable. Features include an easy change filter and dual mounted legs that allow the Commander® to be used vertically or horizontally. You can groom more dogs in less time .... You'll particularly like the job it does on heavy coated breeds. The Commander® dries their hair without drying out their coats. Construction: Sturdy all steel. Moter: 4.0. AMPS:11.25. Weight: 8 lbs. CFM/FPM: 130/28,000. 220-240v. Size: Compact 12"x7"x7" - Weight: 8 lbs. Metro Air Force Blaster B3. Metro packed so much power into it's innovatively-designed Blaster, it cuts drying time as much as 75%. Just flip the switch and this high speed dryer literally "blast" water off the wettest dogs faster and more efficiently No heating element so dry even heavy coated dogs without drying out their coats. Construction: Sturdy all steel. Moter: 4.0 Peak HP. Air Flow: 29,250 ft./ min. 220-240v. Fan: 2 stage dual fan. Amps: 9.5 AMPS. All steel body. On Wheels for mobility. Assembled with 2-Two stage (Dual Fan) 4.0 PHP Moter. Commercial strength hose and heavy duty neoprene blower-nozzle. E-Z change filter. Can be used as a cage dryer or regular blaster. CageMaster® Plus is the safest way to "cage dry" your dogs quickly and thoroughly. The powerful 4.0 peak horsepower motor generates a high volume of warm air, but even more important the six foot drying hose is extra large in diameter, a full 2 1/2" so it can carry a gale force air into cages. And because there is no heating element (often found on other cage dryers), CageMaster® Plus won't overheat or dehydrate your dog. There's no hot air to injure a dog's scalp or coat. Metro Vac N' Blo Large Animal Groomer does all the work and cuts grooming time in half. Use it as a vacuum and its super suction gets down to remove parasites, dirt, dandruff, and loose hair. Use it as a blower and it dries coats evenly completely-leaves hair smooth and lustrous. It can be used to blow dust off animals. Portable and lightweight, Vac N' Blo can be used anywhere. It works great on horses, donkeys, cows, etc, even llamas love it. Adjustable shoulder strap frees hands for easy use. Built for continuous heavy duty operation. 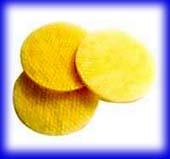 Other uses: Excellent for cleaning debris, from barns, stables, grain drills, tractors, feed mills, etc. 220-240volts. Metro Airforce Twin turbo Dryer. Metro - Spare Part - 10ft Hose for Blaster & Master Blaster MVC-56D. Metro Mounting Bracket and hardware. Fits commanders, cagemaster & blaster B3. Please note this is not suitable for Blasters with wheels. This unique bracket Can be attached under a grooming table or to a wall. And because it frees up valuable floor and table space, you have more room to work in your busy shop. Your Metro Blaster/Dryer easily slides in and out of the mounting bracket. When you're finished using it, simply coil the hose around the exhaust and it's completely out of your way. Metro Moter - Fits AFTD1. Metro Moter - Fits AFTD3. 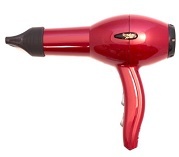 The ETI Turbodryer 2000 is probably the UK's biggest selling professional hairdryer. 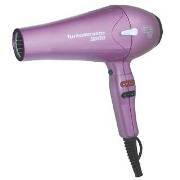 The Turbodryer 2000 has two speed and four heat settings and has a removable rear filter for cleaning. A concentrator is included. Streaker XPD 320Professional Hand Dryer. CE Approved. 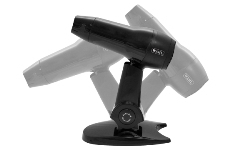 Wahl Hair Dryer and Stand. Drying your pet's hair can be a nightmare, as you have to control the pet, a brush or comb AND the hairdryer. 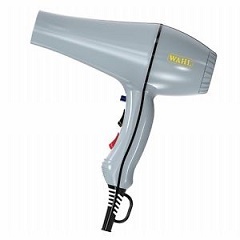 Wahl's Pet Hairdryer takes one of those annoyances away, as it is supplied with a positionable stand, leaving you free to control your pet. Simply hold in the button and position the hairdryer to angle upward, downward or straight ahead, release the button and get on with the rest of the job, safe in the knowledge that the hairdryer is pointing where you need it to be. 1800 w. 3 speed heat settings. Removable air filter. Cool shot button. Concentrator Nozzle. 4m Professional cord. All this in a multi position hairdryer stand.